Shea-Porter, who has represented the Granite State's first district for four terms, made the announcement Friday afternoon. 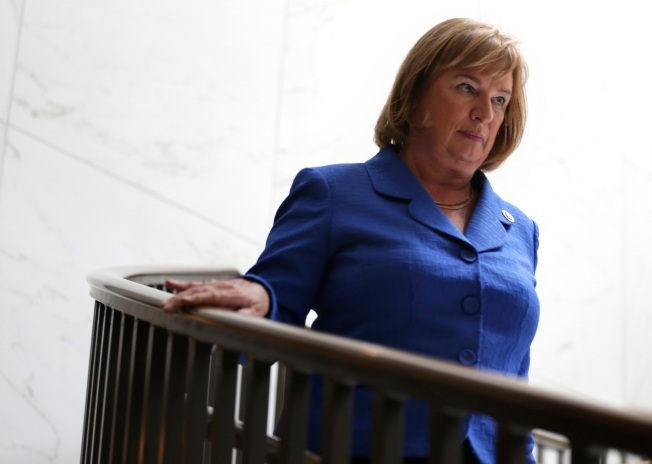 New Hampshire's U.S. Rep. Carol Shea-Porter has announced she will not seek re-election in 2018. The Democrat, who was also the first woman New Hampshire voters elected for a federal office, faced a tough re-election campaign in a district that swung for President Donald Trump in 2016. "This has been a very difficult decision, given how much I have enjoyed serving [the people of New Hampshire] in the House and the fact that the 2018 election is shaping up to be like 2006, when I was first elected, an important time when Congress changed political leadership and was able to move America forward," Shea-Porter said in a statement. She joins her fellow New Englander and Democratic colleague in the House Niki Tsongas, who announced in early August she would not run for re-election. Shea-Porter cited a recent family reunion that inspired her to embark on "a different path." "As the first New Hampshire wom elected to federal office," the state's Democratic Party Chair Ray Buckley said in a statement, Shea-Porter was a "trailblazer and a role model for us all." Who's Going to Run for Niki Tsongas' Seat? New Hampshire's Sens. Jeanne Shaheen and Maggie Hassan also praised Shea-Porter's service. The outgoing congresswoman "has been a fearless advocate for women's equality," Shaheen said in a statement. "New Hampshire is a stronger state because of her tireless work to expand economic opportunity for Granite Staters, and her leadership will be sorely missed," Hassan said. Although Democratic presidential nominee Hillary Clinton won New Hampshire's four electoral votes in 2016, Trump won the majority of precincts in Shea-Porter's district.